Here’s a fact that is strange but true: two pieces of uncoated metal would naturally form one bonded piece 2 when touching, but our atmosphere gets in the way. Because of the Earth’s atmosphere, a layer of oxidized material gets between the metal pieces and keeps them from bonding. If, on the other hand, we lived in a vacuum with no atmosphere, we may never need to weld again. Since our earth does have an atmosphere that won’t allow metal pieces to simply stick together, mankind has been welding for a long time. In fact, the earliest images of welders and ancient welding tools 2 date back to as early as 3,500 B.C. and were found in sealed Egyptian tombs! 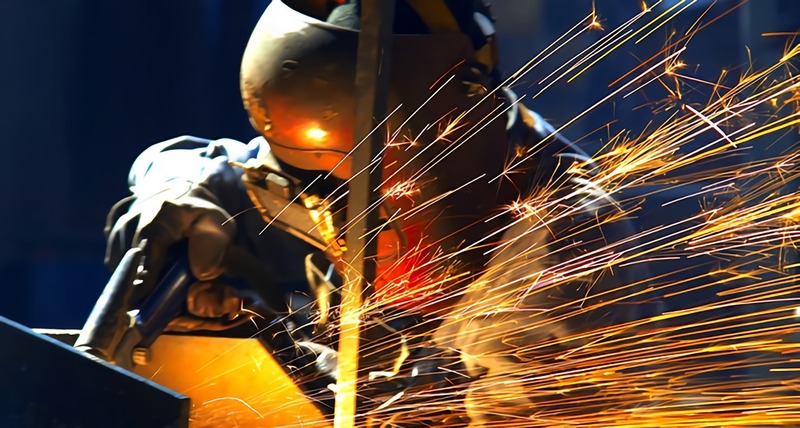 Many students don’t realize the rapid expansion of the welding industry, placing metal fabricators (also known as sheet metal workers) in high demand. With an average salary 3 of $35,000-43,000 a year, the growth in this industry is expected to grow faster than most industries, according to the U.S. Bureau of Labor Statistics, at a rate of 15–22%. This means a greater chance that your hard work and education will pay off quickly after school is complete. What’s more, welding is considered a green collar job because of the direction the energy industry is taking. According to the Union of Concerned Scientists 4, diverse and renewable energies are needed to provide solutions for environmentally friendly energy for our society’s future. Did you know that more than half of U.S.-made products requires some form of welding 2 in their manufacturing process? Some of these products include racecars, bridges, farming equipment and ships. This is part of what makes a welding career valuable. It means that there are a diverse number of job fields available for those with knowledge and expertise in welding. There are any number of jobs available that can apply to your interests, from deep sea diving to NASCAR races. Both wet and dry welding methods can be performed under water. The current record for the deepest dry weld 2 was set in 1990 at 1,075 ft. deep. In order to complete a dry weld underwater, the area must be completely sealed off by a dry chamber where the weld is completed. The record for wet weld was set in 2005 by the U.S. Navy and is nearly twice as deep at 2,000 ft. deep.